Our dear mother Patio passed away this evening, at 11:48 p.m. on Thursday, July 3. After lots of interaction these last eight days in hospice, she started to withdraw yesterday, but she did manage a clear smile for her granddaughter Courtney just hours before she died. Her breath became more and more shallow, until Mike and I could barely tell if she was breathing. We could see the pulse in her neck, and then that, too, faded and stopped. It made me wonder where she went. After a lifetime of identifying her as being in this body, now that the body remains but Mom is nowhere to be found, it just makes me wonder. I have so many powerful "Mom" memories, of course, but one that always stuck with me goes back to when I was 13. I was sure that I was a young man, by that point, having stepped out from under Mom's wing, and I was going to face the world like a man should - resolute and strong. I was swimming at our neighbor's pool, and when I went down the slide I tried to grab my friend underneath the slide, which drove my head hard into the bottom of the pool. (Yes, that does explain a lot, thanks for noticing.) I stumbled out of the pool and mom was there, with a towel, clutching me to her breast. I was mortified and astounded by how unbelievably comforting that was. The warmth of that embrace washed over me, and for the young stud that I aspired to be (and never achieved) it revealed a powerful truth: there's something special about Mom, and your relationship doesn't just change because you decide it should. I'd like to ask you for a favor - write a comment at the bottom of this blog entry (here), if you want, about Mom. Share some stories or thoughts or just wish her well. It would mean a lot to Mike and I, but also, I think, to others who cared about her. 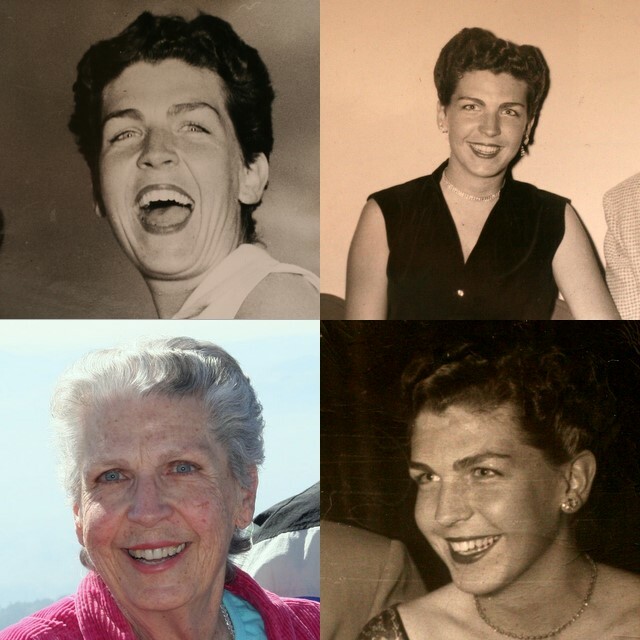 Mom is going to be cremated, and we'll have a memorial service, but not immediately. Keep an eye on this blog for more information. Thank you to everyone who loved our mother. We learned a lot this last week about how many people had deep feelings for her.